Tech 2000 Ltd. is currently manufacturing and marketing a large range of electronic goods (e.g., air-cooler, washing-machine, TV, rice-cooker, iron, refrigerator) in UAE and Trans-Arabian countries. The Tech Tel Ltd. is a new unit which is going to develop smart looking and easily accessible mobile handsets. The unit is an advanced development of the company. Our product is compact, less cumbersome to mobile users, light weighted and 100% smart looking with modern equipment’s. The Tech 2000 Ltd. aims at ensuring quality with the best cost provider service. The company is eager to ensure “a Tech handset for every Asian”. The Tech 2000 Ltd., a UAE based electronic goods producer and marketer, was established in 1990. And the company is going to start its sister concern in Bangladesh from June 2011.The following marketing plan outlines the projected goals established to be implemented within a ten year period, or until saturation of the domestic market occurs. In This assignment we use Secondary & primary data. information that has been collected for some purpose other than the research at hand than the research at hand like internet, newspaper etc. Information that has been gathered specifically for the research objectives at hand. Primary data has been collected by conducting Focus Group Discussion (FGD) amongst two groups (16) of target audience. The responses of the FGD have been used in customer audit. To attain the organisation’s strategic direction, the company’s mission, goals, objectives and competitive advantage have been established to provide a vision and foreground for the company’s success. In addition, a measure of the scope of the product which the organisation offers, and the underlying environmental commitments held in relation to both the electronic equipment industry and the mobile handset market itself, are also key players in the company’s strategic direction and focus. Tech Tel endeavor to become the number one leader in mobile handset market; providing the highest quality within everyone’s reach. Tech Tel endogenous to achieve the highest level of customer satisfaction in relation to both the product and service provided by the company. This is further achieved by ensuring that the highest quality standards are adopted on all levels of manufacturing and production, for guaranteed 100% customer satisfaction when using the product. Furthermore the company is committed to maintaining good employment opportunities and working conditions for all employees, to build a reputable organisation culture. This concerns promotional and sales staff, management and the like. The company is committed to further enhancing an already existing corporate social responsibility in relation to marine wildlife and its protection in Australia. The primary financial goal of this product is to gain maximum market share over the first 5 years, and reach market saturation within the following 5 years. On the initial tk. 1000,000,000 capital we expect to make tk.5.4m profit each year for the first 5 years then decreasing annual profit for the next 5 years and onward, the loan will be paid back over the first 5 years. Tech Tel Ltd. is entering an industry as a market follower of mobile handsets. As such, a myriad of opportunities lie in the fact that as a market follower, there are no competitor against us where as we have ample opportunities to develop our products and services. The key threat therefore, is the potential for competitors entering the market. The following analysis highlights the opportunities and threats faced in the marine sporting equipment industry. The development of strategic measures is the key to manifesting the strength of having obtained a unique product concept. However development will be required in terms of building relationships with retailers and direct customers through research and communication. Motorola are investing in the development of industry-leading GSM, CDMA and 3G UMTS products, with an emphasis on appearance designs and features, including large color display, Bluetooth technology capabilities, flash memory, VGA camera and intuitive user interface. (Motorola 2003 annual report, 2003) In addition, Motorola set flexible price strategy. For example, in the China lowed market, Motorola set low price for their low-end products to compete with other global manufacturers? (China daily, 2004) But in the high-end market, Motorola competes by its leading technology but not price. For instance, Motorola set retail price for US tk.1,199 for Razor V3 in US initially. Moreover, Motorola market its products worldwide to carriers and consumers through direct sales, distributors, dealers, retailers, and, in certain markets, through licensees. Motorola has been continuously evolved its brand. Samsung Electronics Company (SEC) was established in 1969 to produce black and white televisions and then gradually became a key player in the world home appliance manufacturing industry in 1980s. Samsung developed it mobile phone product in 1991. (Samsung Electronics Timeline & history, 2004) Samsung wants to enhance market leadership with a steady stream of high value-added products featuring innovative technologies and functionality. In fact, Samsung continuously has a leading position in technology and continuously developed CDMA, GSM, 3G and Mobile Intelligent Terminals (MITs) products. company. Through the combined strengths of Sony and Ericsson and by its strong consumer-focused and applications-led strategy, the company is a leading player in the mobile communications industry. Sony Ericsson announced its first joint products in March 2002 and now has a full product portfolio covering all target groups, which includes GSM, CDMA, TDMA, Satellite, and TDC products. Nokia Corporation (Finnish pronunciation: [ˈnɔkiɑ] is a Finnish multinational communications corporation that is headquartered in Keilaniemi, Espoo, a city neighbouring Finland’s capital Helsinki. Nokia is engaged in the manufacturing of mobile devices and in converging Internet and communications industries, with over 132,000 employees in 120 countries, sales in more than 150 countries and global annual revenue of over €42 billion and operating profit of €2 billion as of 2010. It is the world’s largest manufacturer of mobile phones: its global device market share was 31% in the fourth quarter 2010, up from an estimated 30% in third quarter of 2010 but down from an estimated 35% in the fourth quarter of 2009. A study conducted on 200,000 customers to determine customer lifestyles and demographic characteristics. Such statistics included 64% of participants to be males, with 30% are females and rest of the participants are the teenagers; where 60% are performing corporate services. 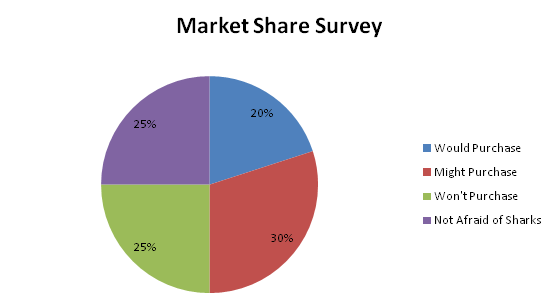 Such research indicates similar anticipated findings within the market of Bangladesh. In addition, an independent survey conducted by the company has provided the initial grounding for the products potential consumer. As outlined in section 4.2 target market, key characteristics have been identified and complement those of macro research. Tech Tel has identified its target market as the mass people of Bangladesh who are able to earn their breads and of course young generation who are conscious about stylish mobile handsets. It was identified that 50% of the market would either definitely or possibly buy the product. The organisation aims therefore, to achieve a market share of 40% within a ten year period, and a 30% share after five years. At the point of maturity, the organisation would propose an expansion phase into the international market. The target market for Tech Tel Ltd. is the mass people of Bangladesh who are employed and fashion conscious young generation. The geographical location of the market will initially be Dhaka, Chittagong and Sylhet which each have over 10,000,000 people living mainly in an urban setting. The demographic of the market is approximately 64% male 26% female, primarily between the ages of 22 and 60, finished year 12 or a university degree, have a household income of over tk. 1, 80,000 per year. The middle and lower class citizens are very price sensitive who hold the major portion of the population. The upper class do not compromise with their choices. The behavioral qualities of the market are that they do value a recognized brand name. These facilities are definitely ensuring Tech Tel handsets unique characteristics. Tech Tel will be positioned as product that offers uncompromising protection of quality for mobile users. This method of positioning would involve communicating the speciality of Tech Tel handsets and its reasonable prices with better post-purchase services. This positioning would be through emphasises on the easy use and reasonable prices of the sets . The high level of perceived benefit is associated with the quality engineering and reliability of the product as an electronic device. TT103: Includes FM, MP4, WAP, Bluetooth, HD sound system, Camera. Tech Tel handsets are sold in recycled packaging, in order to reflect the company’s ethical stance on environmental conservation. Tech Tel have a reliance on smart looking and safe packaging of the product, The essential feature would be appropriate labelling and marking key benefits in an easy-to-read manner including brief overview of technology. The brand name, slogan, retail outlets and customer care centres will get priority in the packaging. The promotional plan to be adopted by Tech 2000 Ltd. for the Tech Tel, has two key objectives. That is, gaining new product acceptance and increasing sales for the company. 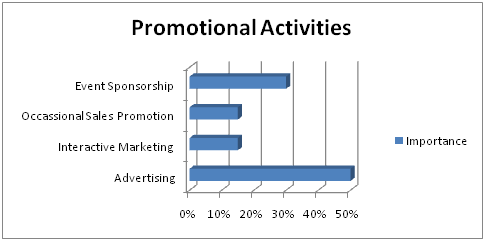 Promotion of the Tech Tel brand will mainly involve above-the-line promotion techniques including advertising in specialised industry journals and newspapers, internet promotion and to a more extent; television. Our focus on newspaper and TV advertisement reflects a growing Bangladeshi trend, with 8 out of 10 Bangladeshis reading at least one newspapers with readership increasing by 6.4% over the past five years (Press Club Bangladesh, 2007). Combining this with internet advertising will reflect a recent study which revealed natural synergies between magazines and the internet (PCB, 2007). Any below-the-line promotion will be based around cell phone fairs and trade show appearances, as well as direct contact with students and professionals. Tech Tel will be adopting a product development strategy. This will involve targeting an existing market with a new and more advanced version of the Tech Tel handsets. Tech Tel will be acting as a distribution channel to retail stores, initially in three metropolitan cities. These retail stores will consist of specialized dive shops which have been identified in our demographic research. These will be distribution points for a wider region of locations, and have been identified as having a large proportion of the population. Our intentions would be to expand distribution to every state within five years. Our website will also allow for direct sales. The placement of the main warehouse in the Port of Chittagong will allow distribution via both land and sea. The Tech Tel sets are relatively light and small and so transport will be easily contractible. By employing a cost-plus pricing strategy, the organisation will be earning fixed gross profit. This will also enable a better control of costs, to ensure that manufacture of the Tech Tel does not exceed tk. 8500. This price is derived from a development cost of tk. 4500 per unit and a mark-up of 25%. Almost half of survey participants indicated that the quality of the product was of higher importance than the price or value of the good. This suggests that the demand for the product is relatively inelastic. For this reason, we have no hesitation in suggesting that the price of our good reflects the willingness of consumers in our target market to buy. 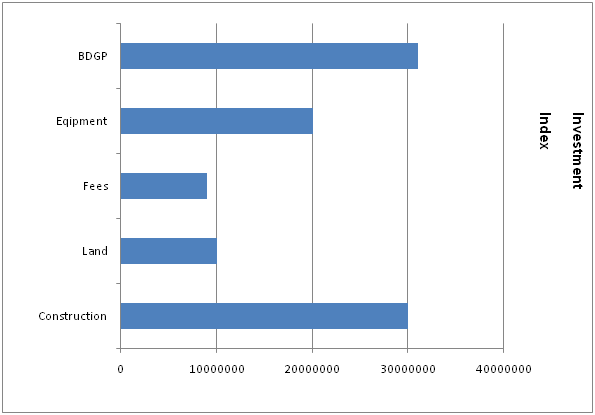 We estimate that the capital required to bring the business into operation will total tk. 100, 000, 00000 which includes construction, land, equipment, fees, brand development and graphic design. The costs of each are illustrated below. Construction (tk.30, 0000, 000) – Construction is our largest initial expense which is the cost of building a new factory. Land (tk.10,0000,000) – The land where we will place our factory and warehouse will be located near the Port of Chittagong so we will have access to inter-state transport services and have the opportunity to export to outside countries. The Port of Chittagong also offers a warehousing service which we will take advantage of. Equipment (tk.20, 0000, 000) – The equipment and machinery required to build the Scuba Shark Shield. Fees (tk.90, 00, 000) – The legal fees and various fees associated with registering a copyright and various other fees. Brand Development and Graphic Design (tk.31, 00000, 000) – We will be hiring a design team to develop a professional brand image, which will extend to our wider range of Shark Shield products. We surveyed 100 mobile users and asked them whether they would purchase a Tech Tel mobile, knowing the benefits and the price; 20% said they would purchase it if it was available in scuba diving stores, 30% said they might buy one, 25% said that they will not purchase as they are satisfied with their preferred brands and the remaining 25% said they are not afraid of new mobile sets’ services so will not buy one, as illustrated below. 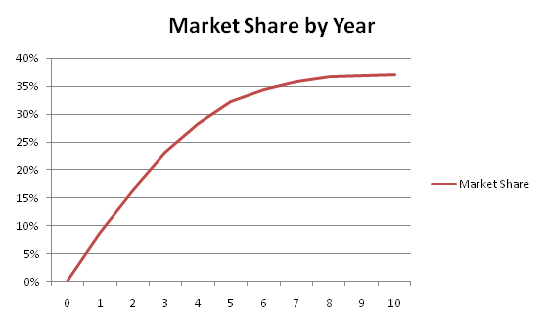 As to not overestimate, the figure 30% will be used as the target market share over the first 5 years. Tech 2000 Ltd. prides themselves on high levels of control and evaluation methods. These have been depicted by the company in extensive quality control, risk analysis and evaluation. It is an ongoing process for Tech Tel Ltd. to ensure Total Quality Management (TQM) is met within the company. Tech Tel Ltd. works in accordance with government regulations in order to meet international standards. Such standards will be met through employees checking 1 in every 5 handsets for 100% accuracy in design, functions and technical features. Through audits, team leaders and management staff will document progress in order to continually improve quality of all production. Tech Tel Ltd. employs a 24hr security system to secure the Port of Chittagong warehouse. Tech Tel Ltd. Also has insurance on equipment, vehicles and the warehouse if stolen or damaged. Furthermore, if malfunctions occur within the machinery, it will automatically close down itself to ensure the safety of employees. If employees are working in the warehouse, it is mandatory that steel capped boots are worn along with safety glasses where necessary. In terms of deliveries, Tech Tel Ltd. Will keep a record of receipts in order to ensure that purchasing is performed correctly. Tech Tel Ltd.s’ will be conducting sales analysis every 6 months and adjusting the promotion budget accordingly. Furthermore, key performance indicators (KPI) will be undertaken by all employees in order to maintain a high standard of achievement within the organisation. In relation to the company’s promotional schedule, it will be reviewed every 3 months in order for the company to meet deadlines.